Second Opinion In Colorado Criminal Cases – The Second Opinion Consultation Process – If you have questions about your Colorado Criminal case and you are already represented and have faith in your lawyer but want to double check his or her work – this kind of paid consultation makes sense. In the Colorado criminal justice system – much what an attorney does for the client may be have varying levels of difficulty for the client to understand. If is frightening at another level because much of what is done occurs with little or no significant input from the client. The nature of he attorney – client relationship requires trust. But trust – in this context – still leads to constant anxiety and sleepless nights for the client…especially where the charges are serious. Clearly the majority of Colorado criminal lawyers are not only competent but are “zealous advocates” for their respective clients. Why Then The Need For A Second Opinion? With the anticipated results of your criminal case bearing down on you – you want to make sure no stone is unturned and every base covered… It is at this time that it might make sense to receive a second opinion from an experienced Colorado criminal defense lawyer. The idea then, behind the a “Second Opinion” is to help you sleep better at night. What Exactly IS A Second Opinion Case Evaluation? Telling your present lawyer about the idea of obtaining a second opinion is a good idea and is only fair to them. If they are truly professional they will welcome the idea. In Step 1 you tell your lawyer that you intend to retain another lawyer for the sole purpose of reviewing the case file and providing a second opinion in the case. Your lawyer’s cooperation is needed to assist in providing the reports and defense investigation in the case for the Second Opinion lawyer’s review. If you decide NOT to let your current lawyer know that you are seeking a second opinion, we will NOT consult with them or share the findings and recommendations of our second opinion evaluation without your permission. In order for your Second Opinion Lawyer’s opinion to be as thorough as possible – you should agree to waive all issues of confidentiality and then ask your present lawyer agree to provide the necessary information sought by this law firm to provide a thorough and complete second legal opinion. You also – will need to be available to answer any questions that the this firm may need to ask – and there WILL BE questions. H. Michael asks you to not only think carefully about the need for and expense of a Second Opinion. You do this by writing down the questions and issues that are keeping you up at night. After you have made the decision to seek a Second Opinion, You need to find out the cost of the opinion. Within a few hours of less of contacting our firm H. Michael Steinberg will listen to the complexity of your case and then setting the flat fee – which will be based on the on the amount of time and the nature of your case. If you agree to the flat fee – an appointment to pay that fee and for H. Michael to receive and review the paperwork is set and the process is started. . In the medical field – obtaining a second opinion has been the standard operating procedure for decades Today – in the field of criminal law – second opinions are becoming a more and more well-established way for a client faced with the loss of freedom – the loss of their employment or the loss of their family or their economic future – provides more than a strong incentive to pay the reasonable fee for another set of eyes on your criminal case. Felony and certain misdemeanor convictions have life long direct and collateral consequences that may last for the rest of the client’s life. 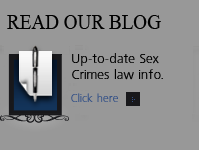 The list of collateral consequences arising from a criminal conviction is much too long to list in this short article. Suffice it to say a criminal conviction is a life altering event. A Colorado criminal defense lawyer’s second opinion rarely costs the amount of time and money necessary to undue the wrong decision. Do not be penny wise and dollar foolish. Accepting a plea bargain – negotiating for a better “deal” or taking a case to trial – are ALL part of the decision making process placed on the shoulders of the person charged in a Colorado criminal case. Rejecting a plea and proceeding to trial can have grave consequences. Proceeding to trial without a clear and defined risk benefit analysis is is mistake itself. However proceeding to trial and then losing at trial almost always results in a much harsher sentence than that of a plea agreement. If you proceed to trial, you must know exactly what risks you are facing if you lose. You need to fully understand the total short and long term consequences of that decision. Juries are absolutely unpredictable. Any truly experienced Colorado criminal defense trial attorney will tell you they have lost trials they should have won, and have won trials they should have lost. The whole system is based on the most unpredictable of institutions – the jury. It is very difficult for a defendant to trust the advice of an attorney – any attorney – but especially an attorney that he or she does not get along with. A second opinion case evaluation offers the defendant an unbiased and objective evaluation of the case, and reassures the defendant that either entering or rejecting a plea offer is in the defendant’s best interest. While never discussed openly – most Colorado attorney-client fee agreements call for the lawyer to charge a “trial fee” to take the case all the way through a trial. This provides a financial interest in the case proceeding to trial. Ethical lawyers explain this obvious conflict of interest to their clients – thus enabling them to make an informed decision. A second opinion removes any incentive to take the case to trial. Whether you decide to “take a plea deal” or proceed to trial, the decision should not be made lightly. An unbiased Second Opinion Evaluation can be done with no vested or other financial interest in the outcome. 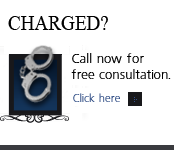 How Is A Free Consultation Different From A Second Opinion Evaluation? 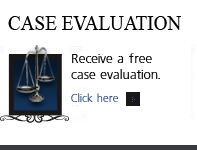 A Free Case Consultation means providing to individuals who are looking to retain a defense lawyer for a criminal case or issue – it is geared to representing the client in court or otherwise in the matter at hand. Here you already have a Colorado criminal defense lawyer. Your case has probably been pending for some time and is the need for a decision is at hand. Most likely you have been advised by your attorney lawyer of a certain case strategy, such as accepting the district attorney’s offer, or taking the case to trial. This is a major life decision and you are confused on how to proceed. The advice you seek needs to be unbiased, independent, in your best interests, and based on a thorough and careful analysis of all the facts and law in our case. If H. Michael agrees with your present Colorado criminal defense lawyer – he will tell you that – if he doesn’t – he will tell you why he doesn’t – in detail. You decide what direction to take after you have received all of the information – our advice – and your options. If you wish to then take your case in a different direction and we agree too take your case – our firm will take care of everything, including notifying your current Colorado criminal defense lawyer as well as the court about the substitution of lawyers and law firms. Some lawyers, unlike doctors, become alarmed at being “second-guessed.” They feel threatened — as if another lawyer is coming in and looking over his or her shoulders. Here’s the rub on that, the insecurity of your lawyer to having his or her opinion reviewed must be secondary to your need to obtain the peace of mind and the best result in your case. This is not a game – this is your life. The lawyer is paid well and if the lawyer is a true professional – they will not fear a review of the work they have done and the opinions they have rendered. ABOUT THE AUTHOR: H. Michael Steinberg – Email The Author – A Denver Colorado Criminal Defense Lawyer – or call his office at 303-627-7777 during business hours – or call his cell if you need his immediate assistance – 720-220-2277. If you are charged with A Colorado crime or you have questions about Second Opinions In Colorado Criminal Cases – The Second Opinion Consultation Process, please call our office. The Law Offices of H. Michael Steinberg, in Denver, Colorado, provide criminal defense clients with effective, efficient, intelligent and strong legal advocacy. We can educate you and help you navigate the stressful and complex legal process related to your criminal defense issue. Helping Clients To Make Informed Decisions In the Defense of Colorado Criminal Cases.Contact A Lawyer with Three Decades of Experience as a Denver Criminal Attorney at The Steinberg Colorado Criminal Defense Law Firm Today. Colorado Defense Lawyer H. Michael Steinberg provides solid criminal defense for clients throughout the Front Range of Colorado – including the City and County courts of Adams County, Arapahoe County, City and County of Boulder, City and County of Broomfield, City and County of Denver, Douglas County, El Paso County – Colorado Springs, Gilpin County, Jefferson County, Larimer County, and Weld County,…. and all the other cities and counties of Colorado along the I-25 Corridor… on cases involving the topic Second Opinions In Colorado Criminal Cases – The Second Opinion Consultation Process.